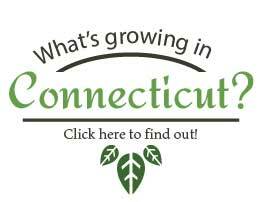 You can use SNAP/EBT at farmers markets in CT! Check out the video below to learn what you can buy with your SNAP dollars and how to get started. Thanks to the Hartford Advisory Commission on Food Policy, the CT Department of Social Services, and Foodshare for this great video! Go to the market with a plan of what you want to buy. But if there are good deals on other items, be open to those as well. Be sure to look at all of the stands before you purchase. Some farmers may have lower prices than others. Think about how long things will last. Planning meals ahead of time will help prevent wasting produce. Buy produce in bulk if the price is right and you're able to freeze it. Freezing produce will keep it fresh for months. Don't be afraid to ask questions! If you don't know what something is or how to prepare or store it, just ask! Did you know that many markets double SNAP/EBT benefits, so your dollar goes even further? All markets are different, so ask when you get there. Learn more about how the doubling system works at Hartford markets.